Kenneth Lee stars as Lin Bo in Caught. It may be the final weeks of winter, but things are really starting to heat up. Not temperature-wise — who knows when that will happen? — but in terms of things to do. There are plays to see, women to listen to, operas to laugh with and fancy footwear on display. Not bad for the winter doldrums. Monty Navarro comes from a very wealthy family, which bothers him more than a little. The troubling part is that he has so many relatives, and they all stand between him and the family fortune. But if they were to die early, Monty could be happy — and rich — while he's still young enough to enjoy it. And so he decides to live out his dream by helping eight of his relations into early grave while also preventing his fiancée from finding out about his mistress. A Gentleman's Guide to Love and Murder won the 2014 Tony award for best musical on the strength of its black humor and songs. 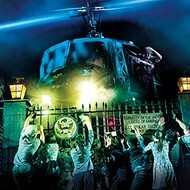 The show plays the Peabody Opera House (1400 Market Street; www.peabodyoperahouse.com) at 7:30 p.m. Friday, March 9. Tickets are $27.96 to $55.70. Ben Pierce's exhibition Ota Benga is inspired by the 1904 World's Fair's most tragic exhibit. The 1904 World's Fair still looms large in St. Louis' collective consciousness, but not everyone who attended had grand memories. A young Congolese man named Ota Benga was at the fair not as a visitor but as an exhibit. He was kidnapped and transported across the Middle Passage by a venal American some 40 years after the abolition of slavery, and then displayed as an example of the "subhuman" nature of black people. After the fair he was removed to a cage in the Bronx zoo, where he suffered even greater indignities. This sad and needlessly cruel moment in the twentieth century inspired local artist Ben Pierce's new show, Ota Benga. Pierce wondered how a man could reclaim his humanity after being treated in such an inhuman manner. 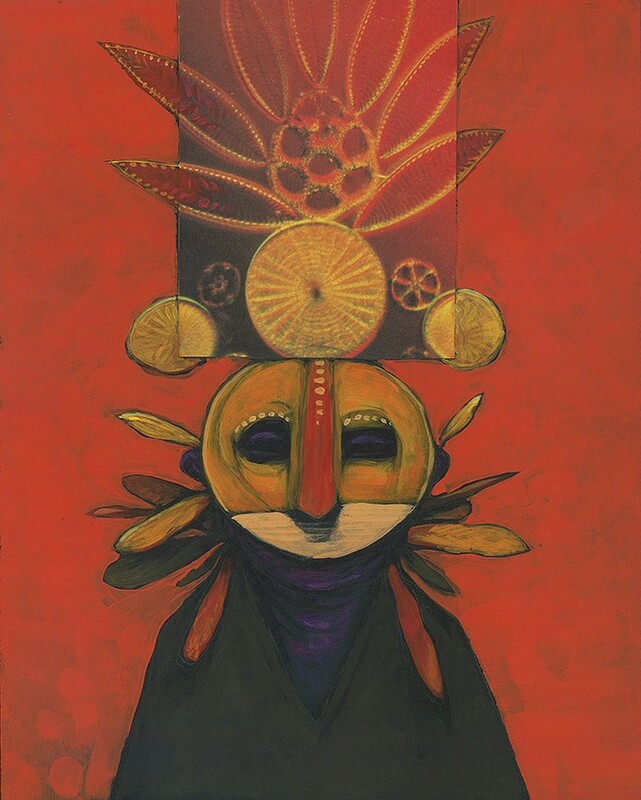 His paintings of exotic birds transformed into ritual masks and sacred garb, which become both symbols of the secret self and of freedom from your true identity. 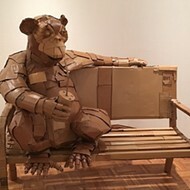 Ben Pierce: Ota Benga opens with a free public reception from 6 to 10 p.m. Friday, March 9, at Hoffman LaChance Contemporary (2713 Sutton Boulevard, Maplewood; www.hoffmanlachancefineart.com). The show remains up through March 31. Comic-book fans who shopped at Star Clipper during its Loop days might remember Christina "Steenz" Stewart. She was your friend behind the counter who read everything that came out and was exceptionally enthusiastic about comics that told a different kind of story. After several months of hints, she and her creative partner Ivy Noelle Weir can finally celebrate the official debut of their own new and different comic book, Archival Quality, written by Weir and drawn by Steenz. It's the story of Celeste Walden, a librarian who loses her beloved job (both Steenz and Weir are librarians) and ends up working as an archivist for the Logan Museum. Perhaps it's the building's strange, haunting atmosphere, perhaps it's a result of still pining for the library, but Cel begins to feel less connected to reality. And then she endures recurring dreams of a young woman who eventually asks for her help. Is this all this really happening, or is Cel losing her mind? Steenz will sign copies of her new comic Saturday, March 10, from 3 to 6 p.m. at Star Clipper (1319 Washington Avenue; www.fantasybooks.com). Admission is free. Some people really, really like shoes. To the tune of thousands of dollars they amass gigantic collections of them, for purposes unknown — certainly not for strapping onto one's stinky, value-depreciating feet. The popularity of collecting sneakers has even given birth to an entire stock market dedicated solely to the pursuit. But why? Ask some of those sneakerheads yourself this weekend at the Show Me Kicks Expo. Now in its fourth year, the expo offers collectors and hype-beasts alike the opportunity to buy, sell and trade pristine, unused shoes in an open market. For just $10, you can bring three pairs of your own shoes to trade or sell, or you can simply peruse those brought by the many vendors on hand. What you choose to do with your newfound wares is your business — just don't you dare wear them. The Show Me Kicks Expo will be held from noon to 5 p.m. Saturday, March 10, at the Old Post Office (815 Olive Street; showmekicks.com). General admission is $11, and includes up to 3 pairs of shoes to sell/trade; additional pairs cost $5 each to bring in. 5. Can a subjective art be proven true in any sense? Chinese artist Lin Bo made headlines with his audacious virtual protest on the anniversary of the Tiananmen Square massacre, and the wave of publicity surrounding him hasn't crested yet. The artist will appear in St. Louis to address his work, conditions for dissident artists in China and activism as the guest of the Repertory Theatre of St. Louis this month. His address includes examples of the work that riled China's ruling powers, which will be on display for the duration of his stay. 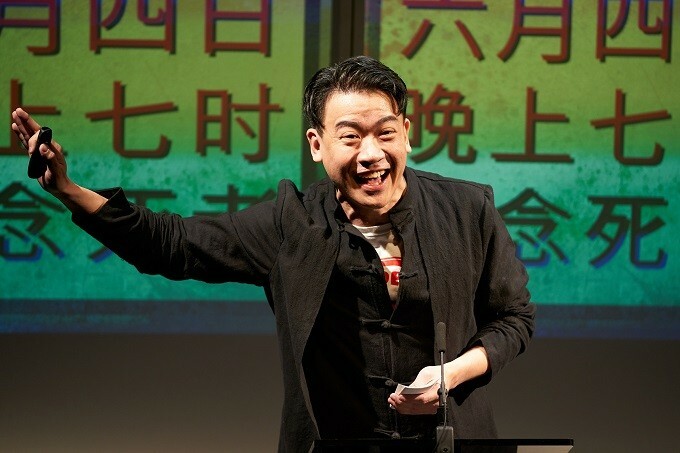 Lin Bo is also a character in Christopher Chen's play Caught, which asks pointed questions about art collectors' love of a sob story, the politics of supporting dissidents as an investment, and the slippery nature of looking for objective truth in the subjective media of art and theater. 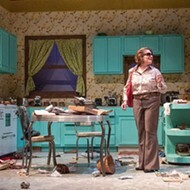 Caught is performed Tuesday through Sunday (March 7 to 25) at the Loretto-Hilton Center (130 Edgar Road; www.repstl.org). Tickets are $45 to $69.50. Pénélope Bagieu brings her lady-centric graphic novel Brazen to Left Bank Book on Sunday. The long sweep of history is littered with biographies of great men, but there are an equal number of great women whose stories remain largely untold and unknown. French comic-book artist Pénélope Bagieu illuminates these lost lives in her graphic novel Brazen: Rebel Ladies Who Rocked the World. Bagieu uses elegant linework and a nine-panel layout to recount the key points in the lives of women as diverse as Mae Jemison (the first African American female astronaut) and the pioneering (and perhaps mythical) midwife of ancient Greece, Agnodice. Bagieu discusses her book with local illustrator Rori! and signs copies of it at 4 p.m. Sunday, March 11, at Left Bank Books (399 North Euclid Avenue; www.left-bank.com) as part of the store's Women's History Month celebrations. Admission is free. Spring is imminent and the first hints of love are in the air, but for Nemorino that's no solace. He loves only the beautiful Adina, and she has no time for him. Inspired the legendary love shared by Tristan and Isolde (which was kindled by a magic potion), Nemorino spends all his money on one of Dr. Dulcamara's philtres. The good doctor is a quack, and all Nemorino gets is an afternoon of drunkenness — but his sudden confidence allows him to ignore Adina, which irks her and then spurs her to win back his affections. Gaetano Donizetti's comic opera The Elixir of Love has been pleasing crowds since the 1830s; it's the perfect capstone to Winter Opera St. Louis' current season. The Elixir of Love is performed at 7:30 p.m. Friday and 3 p.m. Sunday (March 9 and 11) at the Skip Viragh Center for the Arts (425 Lindbergh Boulevard; www.winteroperastl.org). Tickets are $35 to $55.